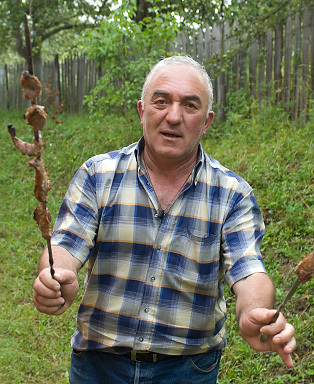 Mtsvadi is a typical Georgian way of preparing meat. It's best when fried over glows from old winegrapes like here. Slicing the meat into correct sized pieces. THE MEAT IS from a 4 months old animal which only has been fed on mother’s milk. The calf has been butchered at the dacha without having been transported or stressed. With other words: Meat of premium quality. 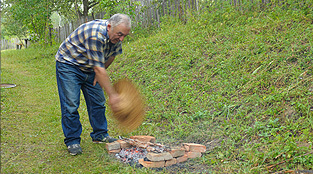 Here we prepare mtsvadi, sliced mead from beef on spear fried over a fire based on sticks of old grapes. Potatoes and tomatos are grownin a local garden without use of pesticides. Mtsvadi is basically served like beef. The potatoes are sliced and fried raw in the pan with sunflower oil with Svanuri salt. 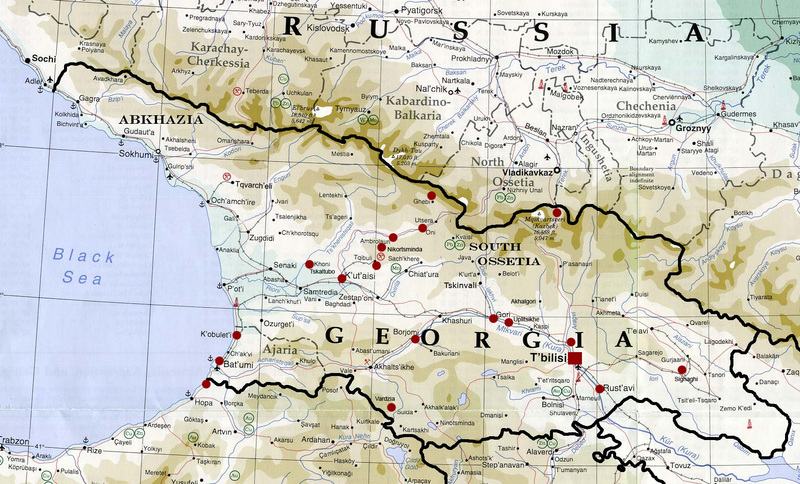 There are two types of sauce: A strong tomato sauce and another Georgian specialty: The Tremali, derived from the tremali fruit that grows most parts in Georgia. Each region, and each cook has his/her own variant. 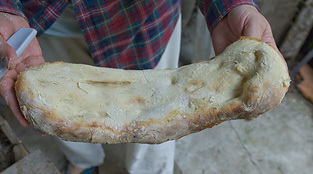 As a supplement we use tonispori, a homemade bread baked in a stone oven with open fire inside. 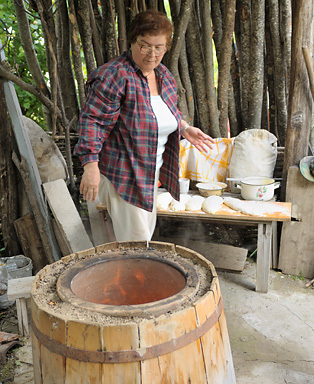 Tsitsino baking bread for mtsvadi. 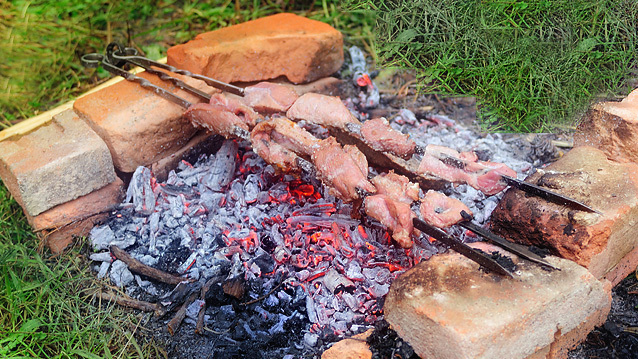 Bread is wrapped round the spear to pull the meat off. The first set of spears. Ready to eat! Badri attends the fire. Glows are essential.